Cycling in Penedes is a great experience! And very easy to do if you are in central Barcelona. 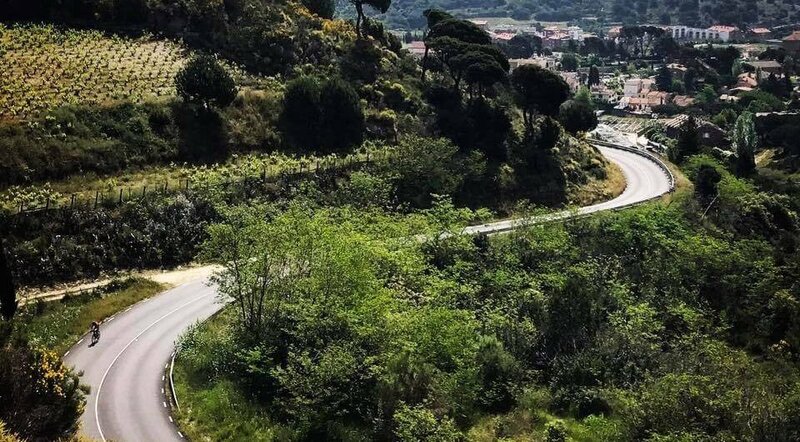 Solitaire roads, great scenery, sunny weather… Wine and cycling... they match!At Montefusco Cycling you can get one of our rental carbon bikes at our shop, including gps device, take the train to Sant Sadurní d’Anoia, and start to enjoy the trip! Train station of Sant Andreu Arenal, at just 300 mts of our shop! If you prefer a guided tour, leading to those tiny roads among vineyards without any traffic, then we also can provide with a guide and make a tour as long as you need (75-80 km usually), and complete the experience with a great lunch after ride and then visit one of the best wineries in the region: Bodegas Torres.Do not miss the experience! Today it was not just about cycling! In our Penedes vineyards and wineries trip we visit some of the best cava producers! Come and join us! Today we had a couple of dutch triathletes, Joyce and Roy. We did the reckon of Barcelona Ironman 70.3 which includes 90 km with 3 climbs, specially demanding the climb to La Costa del Montseny. Technical descent (be careful on the race!) and then back to Calella. Such a nice route, specially for those who enjoy the tough climbs!! Today we did one of the best routes in all of Catalonia: #Montseny mountains loop. Cycling in Montseny mountains is just amazing, specially in autumn and in a working day, when there is no traffic at all. Coll Formic is my favourite climb, I love it!!! Some customers from Helsinki ready for the #gavatriathlon tomorrow!! Time to enjoy our Orbea brand new bikes! 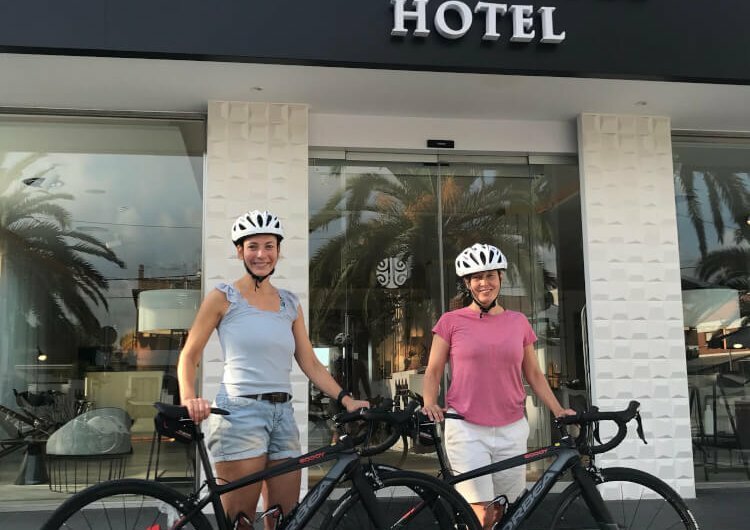 In our rentals we can also deliver/collect to your hotel so you just have to focus on the competition, but we take care of all the logistics. We also include pedals and helmets in our rentals! Today we had Emily and Chuck, from Denver (Colorado) doing our Barcelona hills tour. Lots of climbing and some heat but also lot of fun!! In our guided tours we can adapt distance and difficulty to your needs. You just have to focus on enjoying!